Going to ABRCMS? Come visit us at booth #422! The WAVE Fellows program provides support for talented undergraduates intent on pursuing a Ph.D. to conduct a 10-week summer research project at Caltech. The WAVE Fellows program aims to foster diversity by increasing the participation of underrepresented students in science and engineering Ph.D. programs and to make Caltech's programs more visible and accessible to students not traditionally exposed to Caltech. The program is extended, but not limited, to underrepresented minorities, women, first-generation college students, geographically underrepresented students, educationally and financially disadvantaged students, and students with disabilities. Eligibility: Students must be current sophomores through non-graduating seniors and must be U.S. citizens, U.S. permanent residents, or students with DACA status. A minimum GPA of 3.2 is required. Competitive applicants will have completed sophomore-level courses in desired research field, have demonstrated through academic and/or co-curricular activities a passion for research, and can articulate how their research interests align with Caltech's research areas. The most competitive applicants will have prior research experience. Support: WAVE Fellows will receive a $6350 award for the ten-week program. An additional housing/travel supplement will be provided. Application: Online applications are due January 12, 2019. Caltech's Amgen Scholars Program is geared towards students in biology, chemistry, and biotechnology fields. Some of these fields include biology, biochemistry, bioengineering, medical engineering, chemical and biomolecular engineering, and chemistry. Eligibility: Students must be current sophomores through non-graduating seniors, must be attending a four-year university in the US at time of application, and must be U.S. citizens or U.S. permanent residents. A minimum GPA of 3.2 is required. Support: Amgen Scholars will receive a $6350 award, round-trip air transportation, campus housing, and a food allowance. Online applications are due February 15, 2019. CruzHacks is a student-run, and non-profit organization that hosts the largest hackathon at UC Santa Cruz every year. Apply now to join 500 other college students from across the nation for a weekend of innovation, learning, and free caffeine! With a new slate of leaders at the helm, UCSC’s student organized CruzHacks aims to bring together 500 hackers of all backgrounds for a weekend of innovation. The non-profit hackathon hopes to create an environment in which high school and college students can work collaboratively to harness their talents and make their visions for social change a reality. 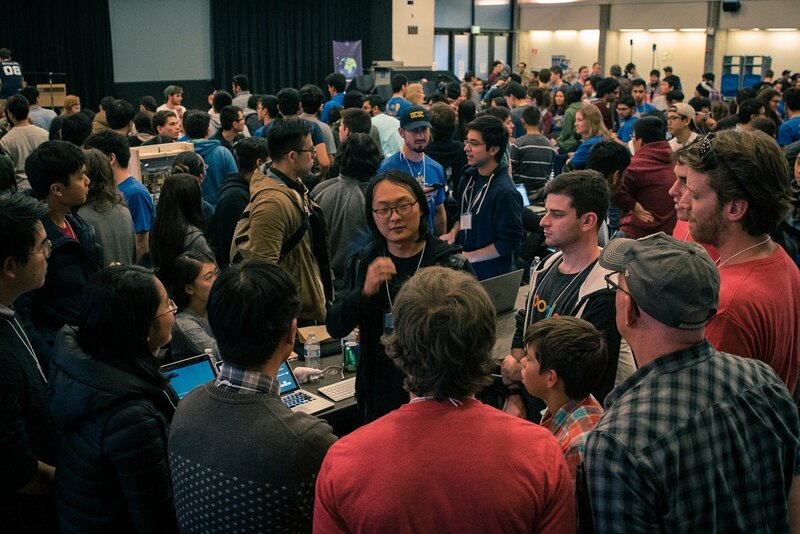 While most hackathons cater to a narrowly focused tech community, CruzHacks endeavors to create engagement and value for the Santa Cruz as a whole. What’s new at CruzHacks 2019? This year’s event will take place in a new venue from January 18th-20th 2019, at 5pm in the Stevenson Event Center. The new location will allow the event to start earlier than in years past, allowing more time for participants as the hackathon hopes to act as an immersive, weekend long experience for all those involved. Part of this experience will reside in the plethora of workshops which will be held during the event. The technical workshops will cater to all levels, addressing topics ranging from basic web development and cloud frameworks to machine learning and blockchain programming. In addition, CruzHacks will also offer several non-technical workshops to allow hackers to take a break when they desire. From dog petting and yoga to video game stations and stargazing there will be recreational options for a wide variety of interests. Regardless of whichever specific activity appeals to any one person, CruzHacks promises to be enthralling weekend for hackers, audience members, and the community at large. Hackers, mentors, and judges apply now! Applications are officially open for all positions and can be found at cruzhacks.com. The hacker application requires a student to fill out personal information as well as a questionnaire to gage if their values align with the hackathon’s mission. Creating a hackathon for all requires everyone involved to be committed to a vision of inclusion. Faculty members are highly encouraged to apply as mentors and judges. The participation of faculty members is greatly desired in order to further engage the UCSC community as well as offer hackers access to a vast reserve of expertise and teaching ability. However, these mentor and judge positions are not limited to faculty members. Those with the knowledge and passion for helping others in a hackathon setting are always needed. Act fast because applications will close on December 10th, 2018!